We dunno ‘bout you guys, but we’re planning to hang on to Summer like grim death. Sunshine, beaches, pools, sun, Vitamin D, cocktails, Sunday sessions and pools. In that order. 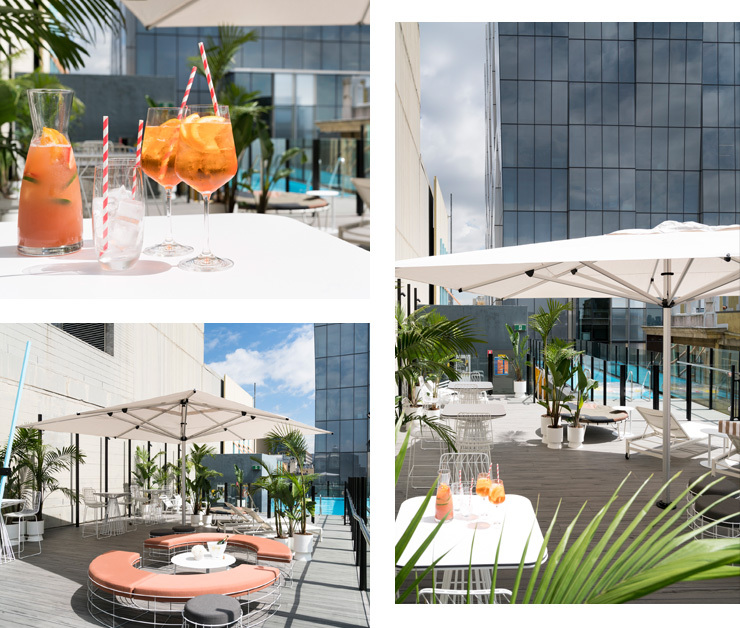 So we were pretty stoked to hear the news that the Adelphi Hotel’s epic rooftop pool is finally back, after an extensive renovation. And it’s looking sexier than ever. If you haven’t been up here before, The Adelphi’s pool is cantilevered, which means it literally hangs out over Flinders Lane below. You can watch people scurry ‘round beneath while you sip cocktails and bask like a lizard. And speaking of cocktails, The Adelphi is joining forces with the guys from Four Pillars to launch a series of rooftop Gin Fridays. That means live tunes, sunsets and exclusive Four Pillars cocktails. There’ll be a dedicated G&T menu, jugs of the famous Bloody Shiraz gin, plus BBQ snacks from the kitchen team at Om Nom downstairs. And the best bit? This pool is 100% open to the public. Hotel guests can use it whenever, but The Adelphi wants all of Melbourne to join the rooftop glory. Entry is $35, and that includes towel hire. Annabel Bronstein, eat your heart out. Speaking of rooftops, we just heard PA's is getting a sweet new rooftop bar.